Camilla Grudova’s first collection of stories, The Doll’s Alphabet, is a strange and slightly off-kilter book that is captivating precisely because it sits a little sideways to the world, mixing fairytale, fabula and fantasy with the tangible details of a commonplace, familiar reality. The end result is stories that are by turns fanciful, horrifying, and, for all their strangeness, persistently recognizable, with all the urgency and immediacy of solid dreams. The thirteen stories in the collection vary widely in setting and length. The shortest, “The Doll’s Alphabet,” is a single sentence, and the longest, “Waxy,” is 26 pages. Some stories, such as “The Mermaid,” take place in the dislocated past of fairytales. Others, such as “Waxy,” unfold in wholly invented worlds that have elements and echoes of ours, but that are nevertheless distinct and entirely their own. “Notes from a Spider” plays out in an historical Europe that feels real except for the human-sized spider that is the story’s protagonist and its narrator. Stories like “The Mouse Queen,” “Agata’s Machine” and “The Moth Emporium” take place in a world that is recognizably ours—real and contemporary—but torqued towards the strange and the macabre. Despite their notable differences in length and setting, these stories are very much of a piece, and The Doll’s Alphabet reads like a cohesive whole rather than a collection of parts. It is tied together by a common lexicon of images: dolls, of course; fish, with its accompanying smells and its oiliness; canned food; and the sewing machines that appear in, among other stories, the first and last pieces in the collection—in effect, stitching the book together. half-covered in maps and diagrams, a large poster of the periodic table, a map of the world. There [are] books everywhere, telescopes, glass vials, and microscopes. A green metal desk with a ragged, greasy armchair in front of it. A glass vase full of brown water and cigarette butts. Socks, papers, teacups, and mouse traps—one with a flattened and dried mouse under its metal bar. wigs—white, red, black, pink, made out of chicken feathers—plastic noses, piles of Russian navy skirts and knitwear from northern countries, gowns, boas, leather jackets, top hats, frills, ribbons, shoes, corsets, such variety of segments, pieces, slices, scraps, strips, it was hard not to think of a butcher’s shop. And these stories are fleshy, bodily, grounded in a material reality that is as much tactile and olfactory as it is visual. Objects are covered in films of oil and layers of dust. One has the distinct impression that they would leave a residue on your skin if you reached out to touch them, and the stories themselves stick to you. A B C D I L M N O P U. And the stories lose none of this dense, curt allusiveness as they gain length, making them consistently memorable, although not always easy or obvious. One is often left with the feeling of having made glancing contact with a larger meaning without fully comprehending it, of brushing up against something bigger and more complex than the story that you are reading. It is an experience that I associate with the older, pre-Disneyfication versions of fairytales, and it is not at all an unpleasant sensation. The stories that I liked best and that I think give the collection much of its substances, the stories that I think will have readers returning to it, are the ones that, however obliquely, address the contemporary world of lived experience and its politics. In “The Mouse Queen,” when she is abandoned by her partner to a marginal existence as a single mother, the narrator begins to transform into a wolf at night and steal from the stores in the neighbourhood. The transformation and the theft both say something about the nature of need and the exigencies of motherhood. “Waxy” imagines an alternate society in which women work in factories to support male partners who spend their time studying for and taking exams is redolent of the exploitation of domestic labour by male genius. In “Agata’s Machine,” a pair of childhood friends fall prey to the addictive allure of figures projected by the machine of the story’s title. One escapes, but the other is trapped, and the story ends with the revelation that decades later she is still in the attic, watching the same flickering images that captured her attention in her youth. The story adds up to suggestive exploration of the nature and consequences of technological obsession without directly commenting on the rise of social media and our increasing obsession with images. And none of these stories are direct. They say something (not anything easily defined, not anything that you can nail down) about, they are redolent of; they are, in a word, suggestive. And this subtlety is to their credit. If these longer, immediate stories are, in their own ways, as inscrutable and irreducible as the shorter pieces, they also share some of those shorter pieces’ timelessness, at once speaking to and slipping free of the context of their writing. I began this review by observing that The Doll’s Alphabet is a strange book, and it is certainly that, but it also a tight and cohesive book. It is a richly textured book that invites and troubles the senses. It is an abstruse and resonant book. It is also an immediate and engaged book. And it is, above all, an immensely rewarding book because it is all of these things at once. 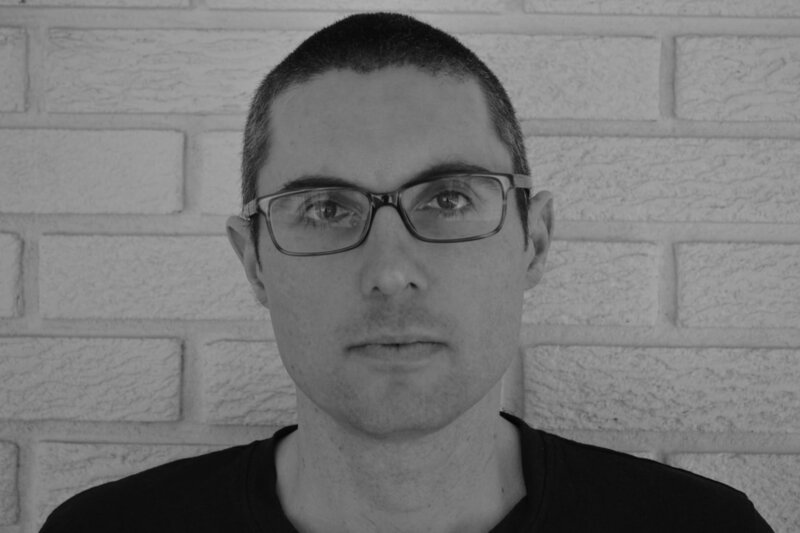 Aaron Schneider’s stories have appeared/are forthcoming in The Danforth Review, ​filling station, The Puritan, Hamilton Arts and Letters, untethered, and The Maple Tree Literary Supplement. His story “Cara’s Men (As Told to You in Confidence)” was nominated for the Journey Prize by The Danforth Review. He runs the Creative Writers Speakers Series at Western University. His first book, Grass-Fed, is forthcoming from Quattro books in the fall of 2018.